So I leave the aircraft after my overnight flight from New York (check out my review of the flight here). It is always such an ordeal and hassle to clear immigration… the queues are oh so long even with Fast Track! One of my few pet peeves about travel is being tired and jetlagged from a long flight and having to deal the whole hotel check-in timing (most hotels only do check-in from 2pm onwards, which is frustrating when you’ve just hopped off a 7am flight). 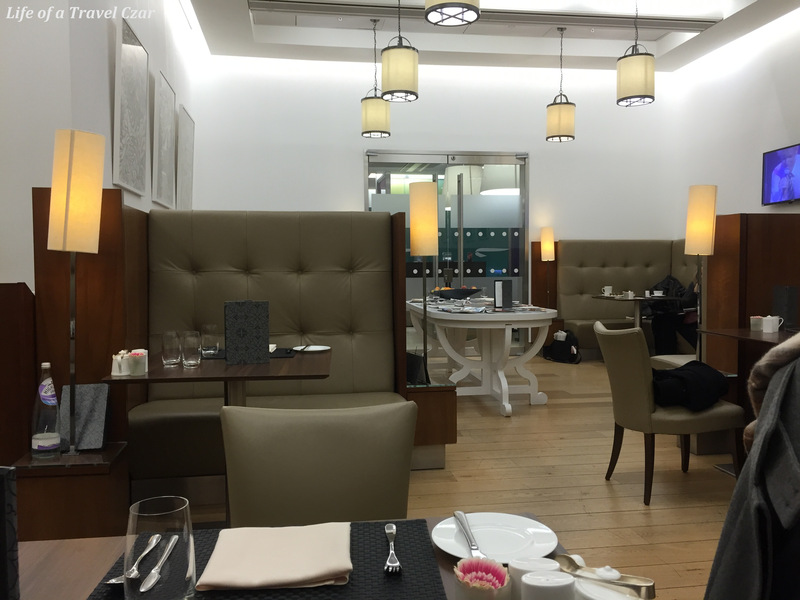 Thankfully British Airways provides a solution with their Arrivals Lounge in Heathrow Terminal 5 (American Airlines have a similar one in Terminal 3 – you can see my review of that here). 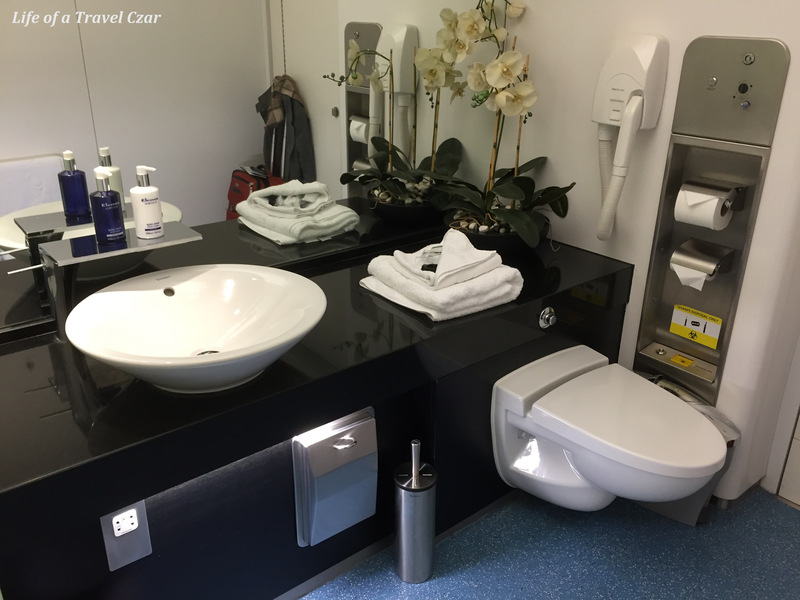 It’s a spot where you can have a shower, freshen-up, have a nice hot breakfast and a soothing massage, finish-up some work before heading into the London town to grab the day ahead of you! 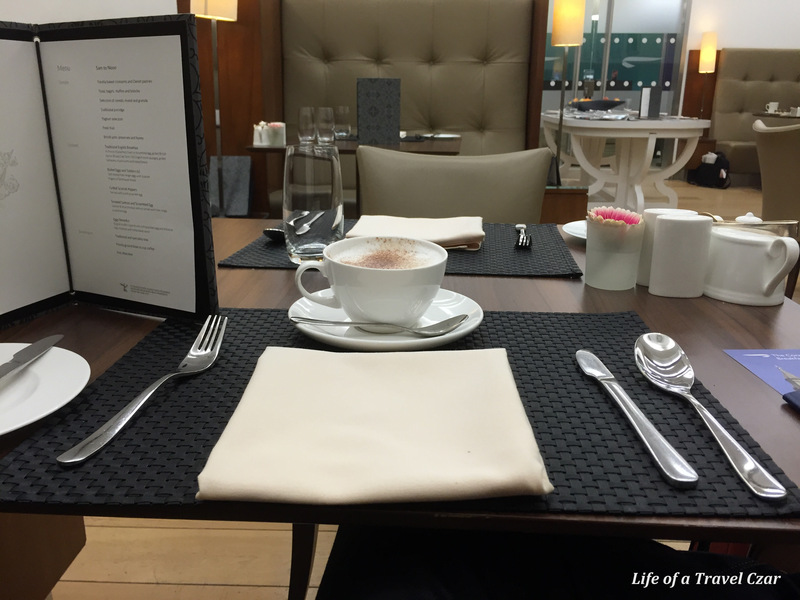 I head straight to the Concorde Dining Room to tuck into a hot breakfast. I have a coffee to kinda wake-me-up a little. 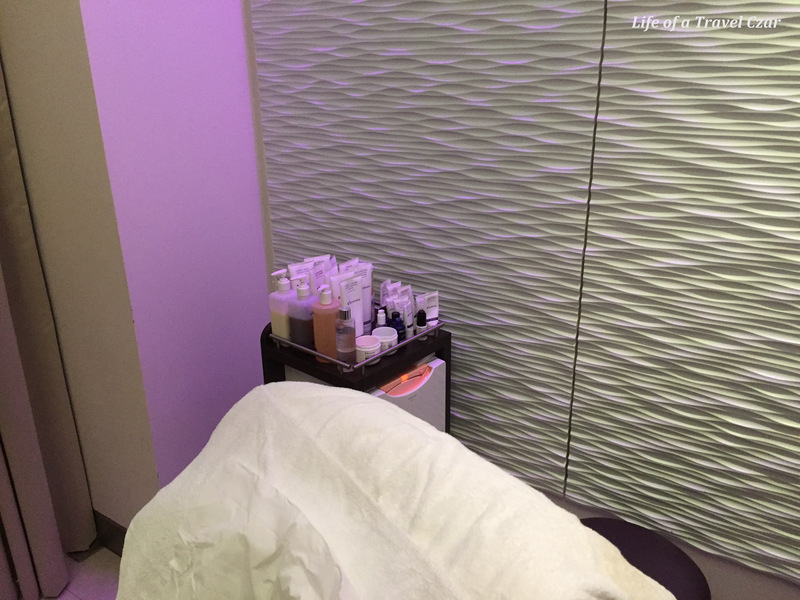 The room is quiet and peaceful and the booths are comfortable – perfect way to start the morning. The caffeine hit does its job! 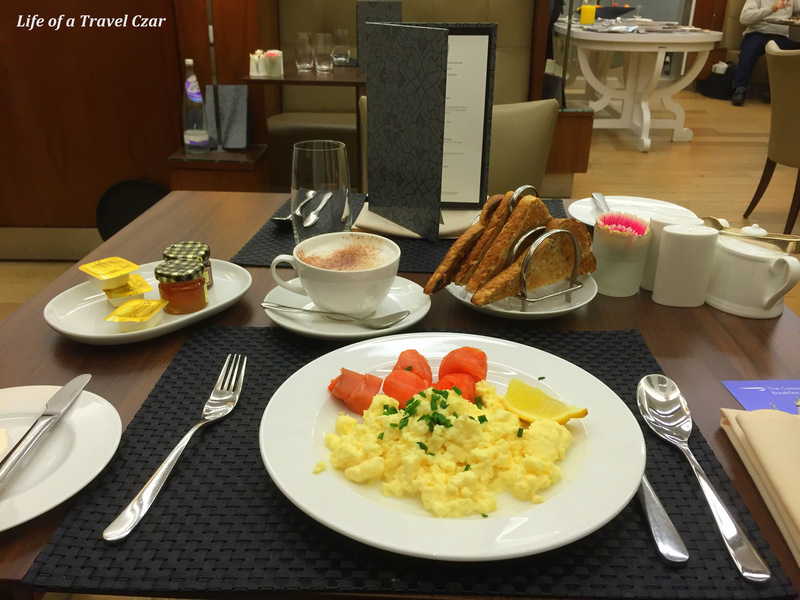 I opt for the scrambled eggs with smoked salmon and toast. The scrambled eggs are good but not great, however the salmon is beautiful, fresh with its rich oily flavour. The toast is crunchy with a spread of butter to make for a satisfying brekkie experience. After breakfast I decide to freshen up a little at one of the Cabanas with the Infinity Baths. There is a deep soaking bathtub with some wonderful Elemis products. The bath proves to be a wonderful experience as the aches and pains of the morning are forgotten. Its amazing what a nice warm bath can do for you. 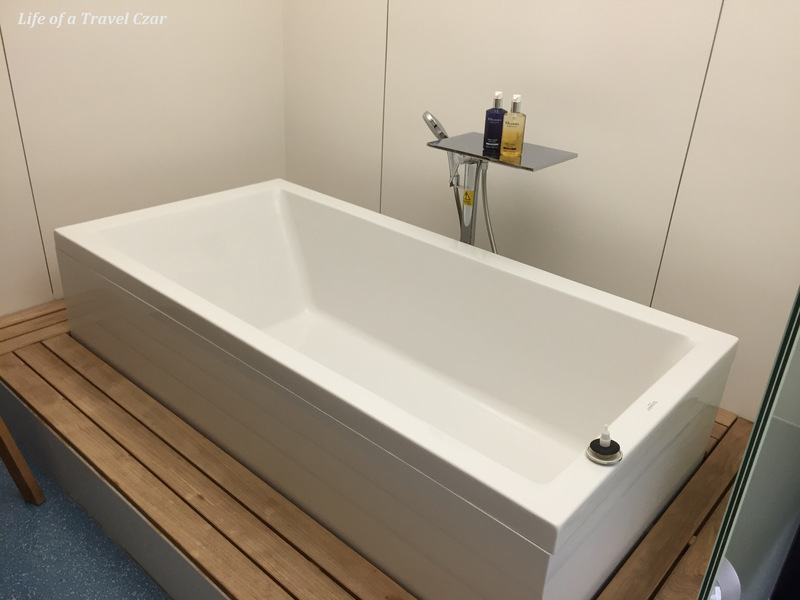 As it’s an Infinity Bath you can let it overflow and there is a drain under the wooden boards to catch the excess water. I feel completely relaxed! 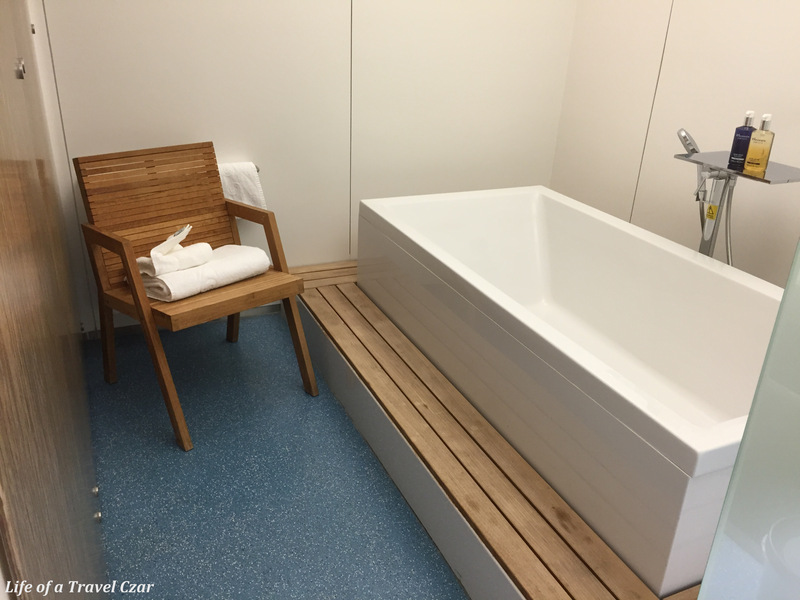 The cabana is spacious and has plenty of room for you to freshen up. 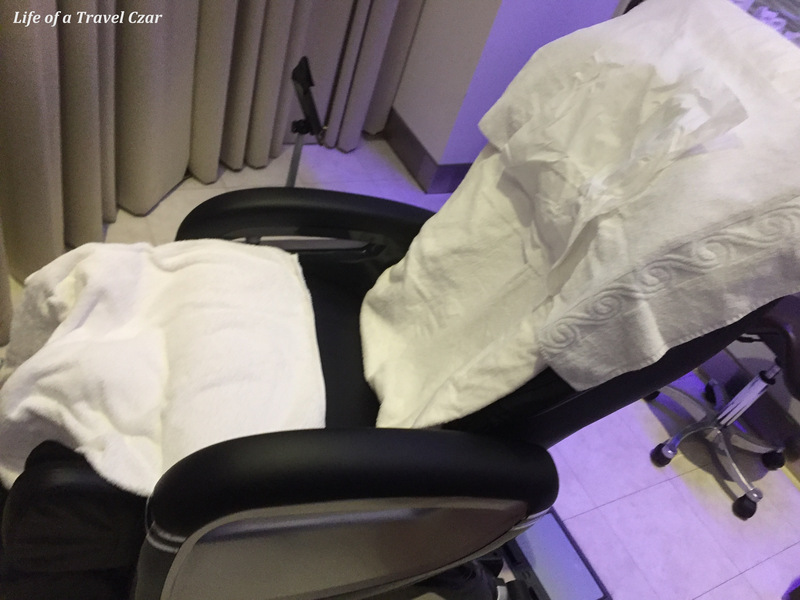 I have a quick facial with the team from Elemis and a fantastic back massage in their electronic massage chairs so I am left feeling fresh, relaxed and comfortable. After attending to some emails, I head out of the Lounge. I walk out the terminal and the crisp London air grips my face as the warmth of the terminal fades into a distant memory and the chill of winter grips me. London here I come!